Tracks 1–3 recorded October 16–17, 1969 at Roger Arnhoff Lydstudio, Oslo. Originally released 1969 as LP album Briskeby blues (Philips 854 007, later on CD Philips 834 711-2). The poem “Bo på Briskeby blues”, from the original album, is placed on CD 3, track 27. All poems published in JEV: Mor Godhjertas glade versjon. Ja (1968). Music composed by Jan Garbarek. Producer Svein Erik Børja. Tracks 4–5 recorded September 28–29, 1970 at Rosenborg Studio, Oslo. Originally released 1971 as LP album HAV (Philips 6507 002). Poem on track 4 “Det alle vet” published in JEV: Mor Godhjertas glade versjon. Ja (1968). Poem on track 5 “Dikt” published in JEV: kykelipi (1969). Tracks 6–7 recorded March 21, 1973 at Arne Bendiksen Studio, Oslo. 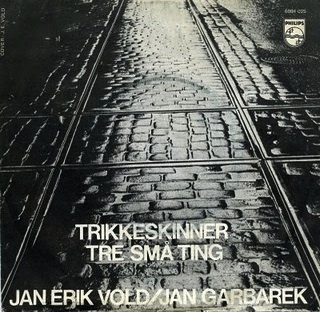 Originally released 1973 as single record Trikkeskinner / Tre små ting (Philips 6084 025). Poem on track 6 “Trikkeskinnediktet” published in JEV: Mor Godhjertas glade versjon. Ja (1968). Poems on track 7 ”Hvor kommer du fra?”, ”Jeg kan se det på øynene dine”, ”Hva er det som rører seg?” published in JEV: Bok 8: LIV (1973). 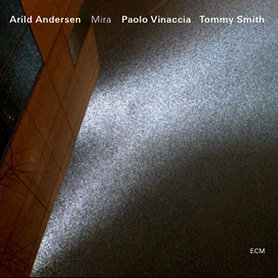 Music by Vold – Garbarek – Andersen – Christensen. Producer Svein Erik Børja.